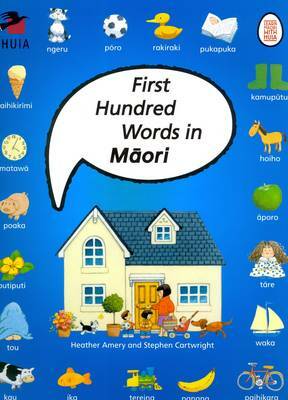 Tired of boring and drab Maori language learning books? THIS book is bursting with vivid, entertaining illustrations by Stephen Cartwright that will attract even beginner adult learners. The book includes verbs, adjectives, opposites, numbers, colours, shapes, and many, many other vocabulary themes. A complete bilingual index of the vocabulary, with a pronunciation guide, is included in the last pages. 'Learn Maori with Huia' is an on-going series of books and resources to inspire and help anyone who is interested in learning Maori. You can go to the Huia website www.huia.co.nz and connect to a link where you can listen to a native Maori speaker to learn how to pronounce every Maori word correctly. You can also download picture puzzles and games for free.